This was my first out of town trip after I set foot in Manila from a very long flight coming from the lands of southern hemisphere. I embraced my longings with my ever loving home province of Tarlac and when a friend of mine planned to visit Baguio City for the nth time again, I did not think twice—I packed my backpack with good old time jackets, took enough cash and got myself ready for another five-hour trip. Not soon enough, I was back to the city where popular pine trees grow and strawberries are celebrated. The popular Panagbenga Festival has just ended and it was time for the so called “Session in Bloom”. It was drizzling and cold, but people from all walks of life still enjoy the city. They roam around Session Road where the classic shawarma food stalls are abundant, a variety of different cuisines, myriads of souvenir items and ice cream. I texted my friends, we shall be seeing each other inside SM City Baguio. And so we met each other inside SM. We took a regular meal at the food court and after that we went to Session Road to meet our other friends. A year has already passed since we had our trip to Camp John Hay, where we visited Cemetery of Negativism and Bell Amphitheatre. After a short stroll in Session Road looking at some of the stalls at the middle road, we headed to one of the most recently opened café in the heart of Baguio City—the Session Café. Session Café was already supposed to close at 10 PM, however, we requested them that we’ll just be staying for a little longer so we can enjoy each and everyone with food, coffee and stories. I packed clothes good for two nights, and as far as I remember, we do not have any concrete plans on what to visit for the next coming days. 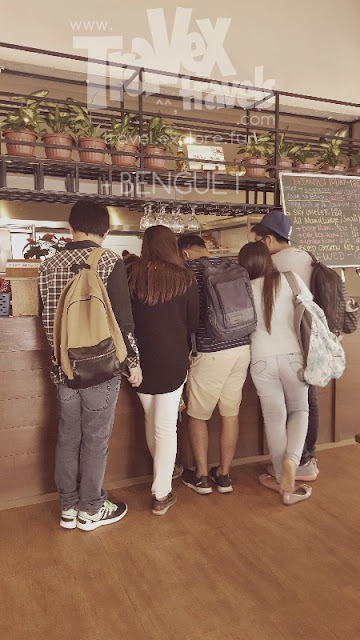 One thing in my mind when I went to Baguio—food trip. Just in time for the Session in Bloom where food is not a scarcity. I just want us to have a food trip. Then one of my friends suggested we should visit Café in the Sky, a coffee shop and restaurant built on top of Mount Sto. 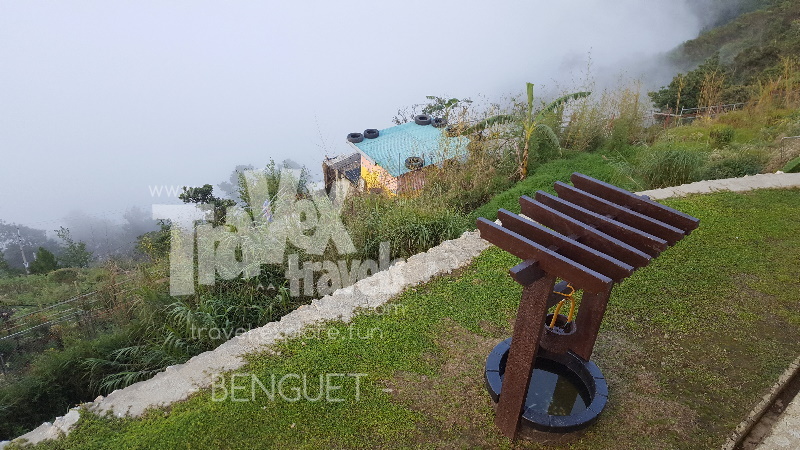 Tomas (or Cabuyao) in Tuba , Benguet where the popularized La Presa was near. We ended the night getting to one of our friend’s place to have a good night sleep. The next morning, we woke up at around 9 AM and decided to get a good brunch in of the hidden (but popular to Baguio locals) eateries at Governor Pack Road. I have mentioned to my friends that I was craving for the hot bulalo soup near SM Baguio. I told them it was located somewhere near the Bloomfields Hotel and SM Baguio. To my dismay, the popular bulalo hotspot before was already non-existent. Maybe they already moved or just vanished without me knowing. The reason I cannot forget this bulalo eatery was because of the wonderful flavor of their soup and I tried that one with a friend in a time where the cold waters of the rain is devouring the mountain city of Baguio. So we just went to this quirky small carinderia near the bus terminals where we can have our serving of bulalo. However, we are a bit disappointed because bulalo was not available when we ate there. So we just satisfied our cravings with everything in sizzling plate—sizzling sisig, sizzling igado and nilaga. After finishing our lunch, we took time to stroll a bit more of Session Road during the Session in Bloom. After that, we decided to head to Shanum Street where the local jeepneys bound to Green Valley wait. One of my friends told us to see the sunset at the Café in the Sky. We paid P15.00 each for the 30-minute ride, however, it only goes up to the point where FX are waiting. The FX vehicles are the only ones that can bring you to the top of Mount Sto. Tomas, where the Café in the Sky is located. The reason for that is, the local authorities already disallowed mass tourism in the protected area. So we actually just sneaked out to join other local villagers who are from there. We hired the FX for P600.00 to bring us to Café in the Sky (yes it is expensive). The P600.00 already covers round trip, but only up to the point where they also wait, which means you still need to ride the jeepney bound back to Baguio City. In less than ten minutes, we arrived in Café in the Sky. You can feel the colder air in Café in the Sky because of the altitude. From outside of the restaurant, you can see down below the City of Baguio. 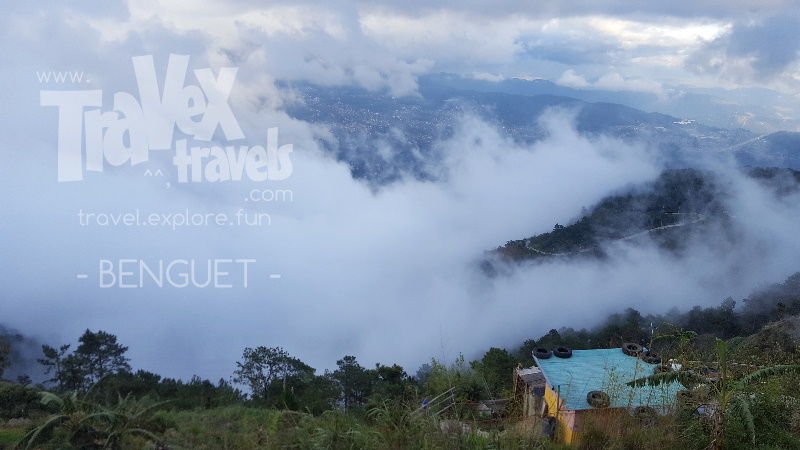 Yes, down below, it feels like Baguio is a lowland place. It is a good place for selfies and pictures. The overlooking views of the clouds, the city and the mountains are surreal. Café in the Sky is very high! We took a few minutes enjoying taking pictures of the views from the outside. After then, we went inside to check out their menu for the day. 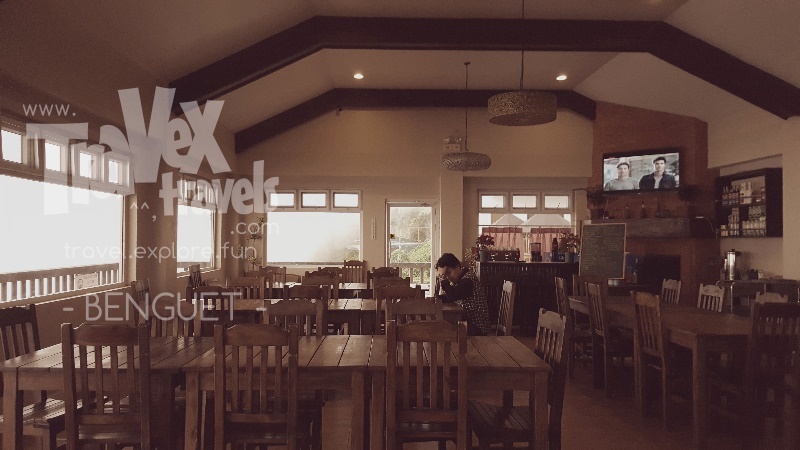 The inside of the restaurant is rustic, and it feels authentic Cordillera because of the woods and Cordilleran arts and architecture. We chose a table outside the restaurant so we can savor the view from outside. 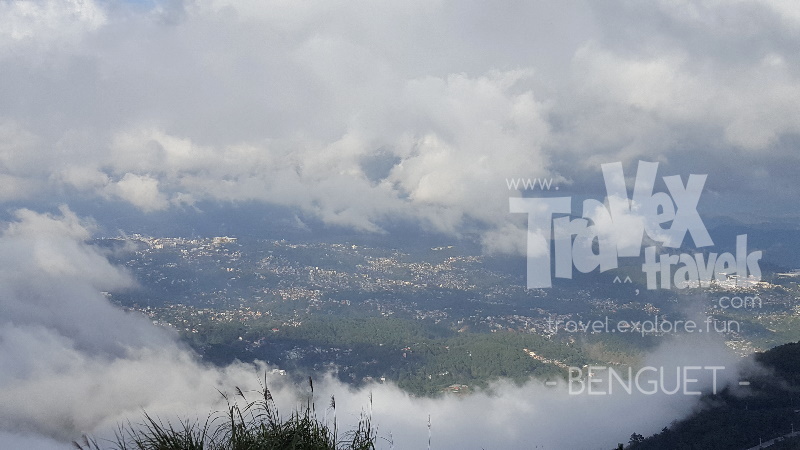 From here, you can see the “Mickey Mouse” of Benguet, which are actually the rounded radar plates on top of Mount Cabuyao. If you still have time to wander the area, you can actually get nearer to this place. 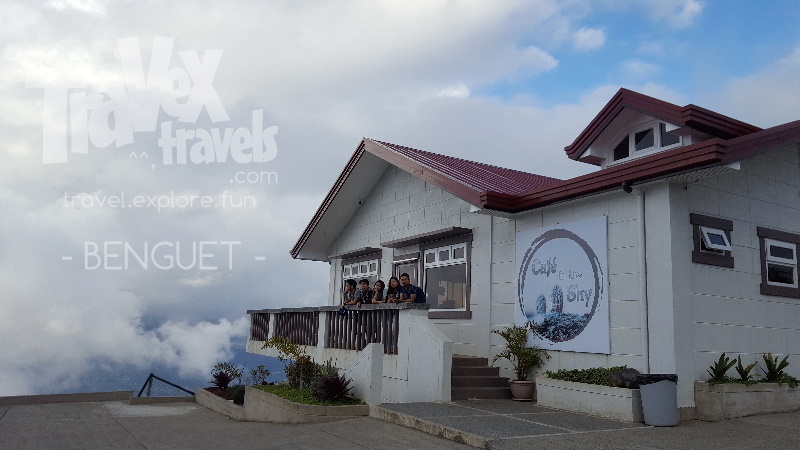 It was really cold outside but we enjoyed it because it was our first time together to visit Café in the Sky in Tuba, Benguet. 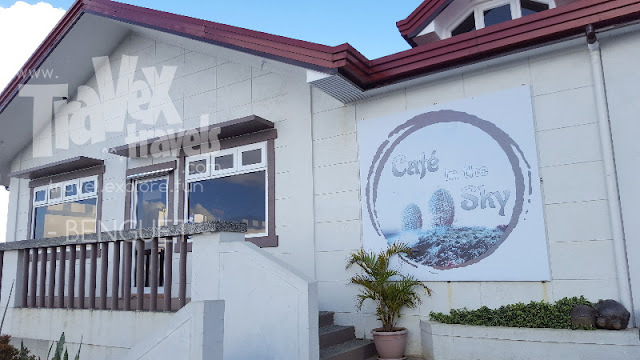 The trip to Café in the Sky will only take a little less than an hour so if you have a spare time in your itinerary, adding Mount Sto Tomas or Café in the Sky is good choice. You will not regret the beautifull and stunningly overlooking views of the mountains from this place. The friend who said that it’s a good sight for sunset was wrong though haha. It was a bit cloudy back then and the overlooking part is not facing the sunset so I guess the better view here is sunrise. Anyway, the views are already enough for us to have a real taste of clouds just under us and coffee above our minds in Café in the Sky. 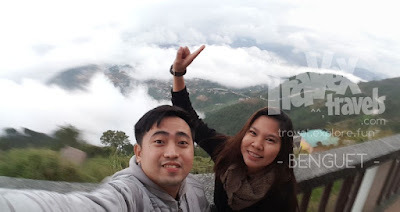 We did not stay longer at night because it was foggy and cloudy so we did not get a chance to see the shimmering collection lights when Baguio City awakes at night. It should have been a wonderful view of the city lights if not only because of the clouds and fog. The coffee served was just great for this kind of view. For me, the caramel coffee I ordered was a bit sweet, I guess if you are not a sweet coffee lover, try to order the other caffeine drinks. After paying our bills in Café in the Sky (it will cost you by the hundreds for the food here), w eagerly went down to Baguio. And guess what was our plans for tomorrow—to visit the popular Mount Ulap that everyone was talking about. We went back to our friend’s apartment and slept that night. In a few hours we will be waking up again, prepare ourselves and get ready to do some real hike! 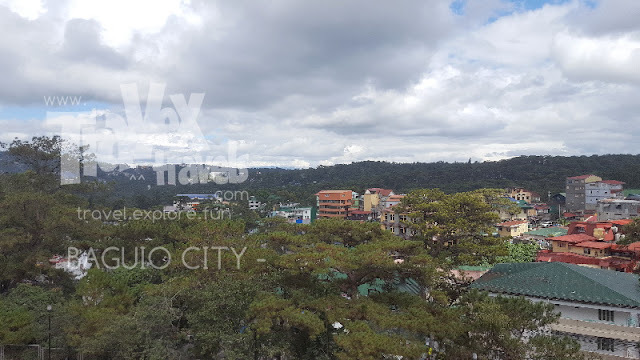 From Baguio City center, head to Shanum Street. Ask the locals for guide. They should be able to point you to where the jeepneys bound to Green Valley wait. The trip will be around 30 minutes to the jump off point to Mt. Sto. Tomas/Café in the Sky. Hire the FX for P600.00 round trip (meaning the driver should stay in Café in the Sky to be able to bring you down once finished). Tell driver to drop you to Café in the Sky. On going back, do the same way. The jeepney going to Baguio will drop you off near the Baguio Capitol so just walk your way down to Session Road if you want to visit the district to have some dinner or night stroll.